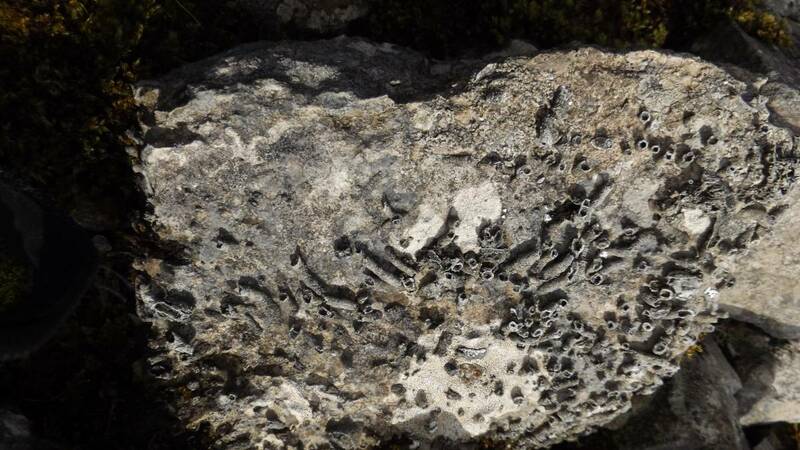 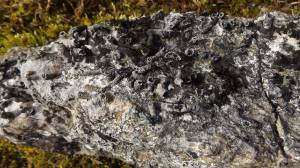 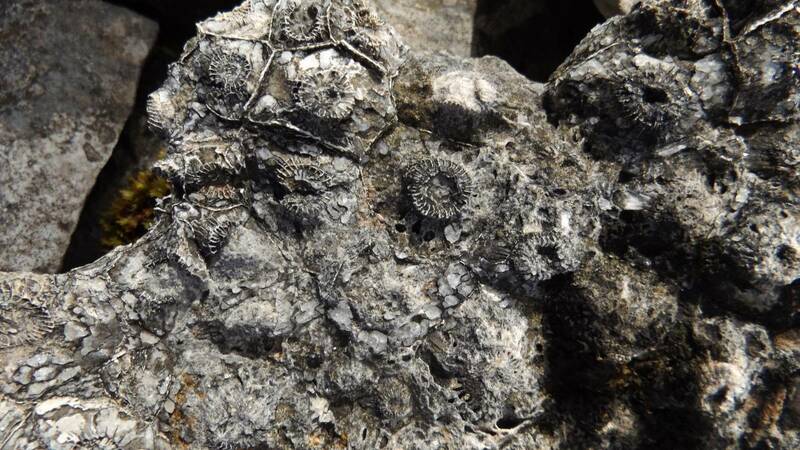 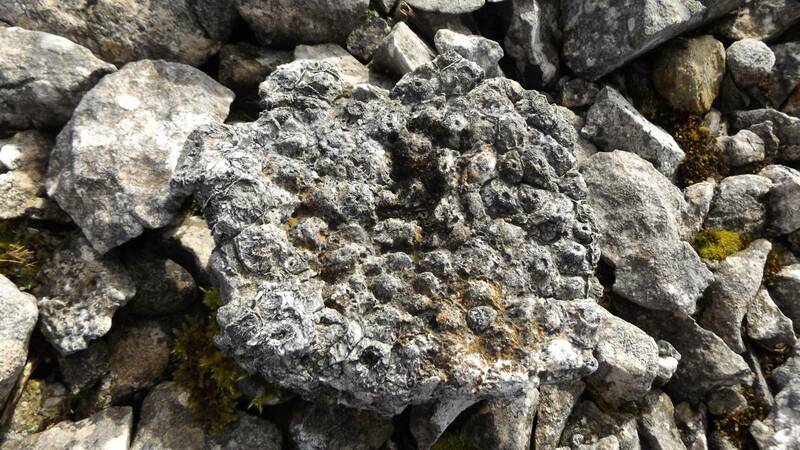 Record Description Lonsdaleia floriformis and Syringopora geniculata, two fossil coral species which form large colonies in the hard limestones which form the highest Scars in Swaledale. 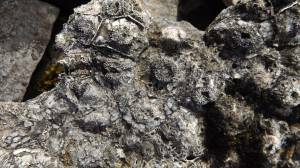 Best to look for these fossils in the river and stream bed gravels. 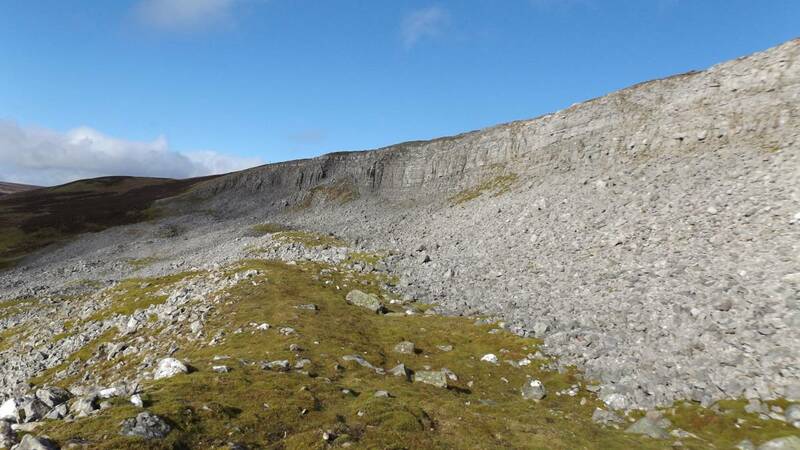 The cliffs and mine hush gulley walls where they occur in situ are dangerous places. 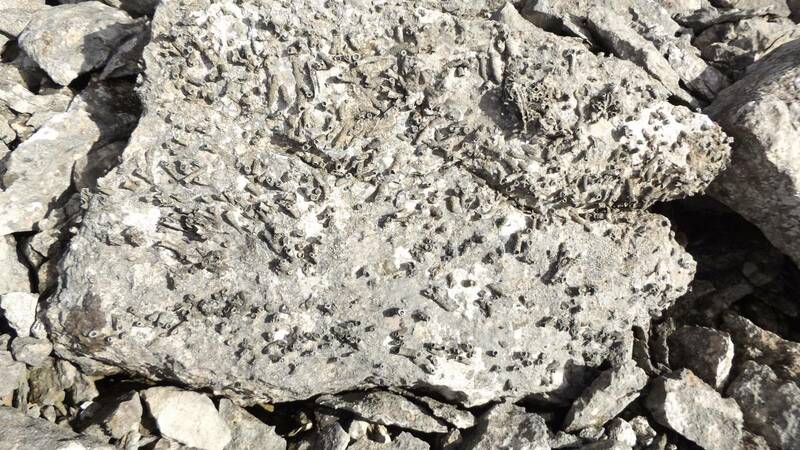 Image 2 Description Lonsdaleia floriformis detail. Image 6 Description High Scar, one of the finest high limestone scars in Swaledale. The exposed face of the Main Limestone and extensive actively forming scree or talus slope below.